This hotel is wonderful. My only complaint is the sheets and towels are rough. Otherwise it’s a very friendly, clean and comfortable hotel. It’s a nice little hotel. Stairs to the upper floor a touch steep, but overall great stay! Where to find Kitimat hotels near an airport? 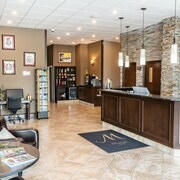 Where can I find hotels in Kitimat that are near tourist attractions? 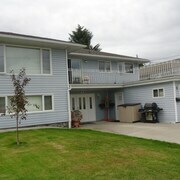 Arranging some time in Northern British Columbia and would like to stay close to central Kitimat? Downtown Kitimat has 3 accommodation options within a 0.1-kilometre (0.06-mile) radius. 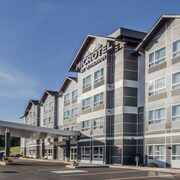 If you plan to stay within a short drive from the center of Kitimat, the Microtel Inn & Suites by Wyndham Kitimat may be a good place to check out. The Minette Bay Lodge is located 5 kilometres (3 miles) away from the heart of Kitimat. 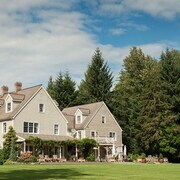 The Sleepin Inn is 7 kilometres (4 miles) away. After you have spent time in Kitimat, ensure you allow time enjoy the other great attractions Northern British Columbia has to offer. Investigate Northern British Columbia's old towns, fortresses and archeological sites and photograph the area's coastal plains, forests and rivers. Tourists in this section of Canada enjoy snowboarding. The Heritage Park Museum is a well-known place of interest here. 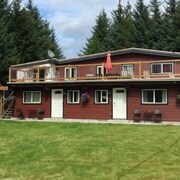 Stay the night in Terrace, , 55 kilometres (34 miles) to the north of the middle of Kitimat. 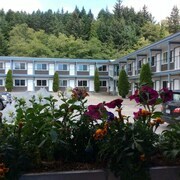 Choose from the Sandman Inn Terrace and Best Western Terrace Inn. If you are traveling into or out of Northwest Regional Airport and plan to stay nearby try Days Inn Terrace or The Lodge at Skeena Landing. Are there hotels in other cities near Kitimat? What other types of accommodations are available in Kitimat? Explore Kitimat with Expedia.ca’s Travel Guides to find the best flights, cars, holiday packages and more!